The manager and staff at Rear Window didn't know that it was a process coffee shop, but I did. I knew that process thought is not about a "worldview" to which everyone must conform, but rather about an atmosphere of openness and dialogue, of generosity and creativity, of imagination and hope, that people can enjoy. I'd seen this already in my Chinese students. I interviewed one of my Chinese students about it, and he explained to me that, for him, "it's a lifestyle." (See Enjoying a Vivid Mental and Spiritual Life: Why Young Chinese Turn to Process Thinking.) I saw this lifestyle encouraged in the Rear Window Coffee Shop in Harbin, I was in Harbin several summers, hosting American students learning Chinese language at Heilongjiang University. I would go to Rear Window every day for coffee and atmosphere. It was, in a way, my "church." It's not there anymore. 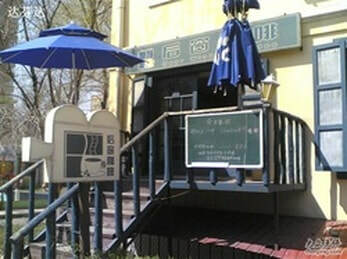 The last time I was in Harbin, Rear Window Coffee Shop had moved to another location and the original location, which you see in the photo above, had been transformed into a Russian Beer Cafe. But I remember the coffee shop and the feeling I had when there. There was nothing especially fancy or elegant about it. Its aim was to be hipster (fashionable but outside the cultural mainstream.) If you were young and Chinese and you went there, you would, for a moment, experience a slightly different world of conversation where you could talk about the ideas that mattered to you, or movies, or music. You felt free and hip. There was a guitar on a stand there; and you could pick it up if you wanted and play a tune. Or you could imagine yourself picking it up, even if you didn't know how to play. 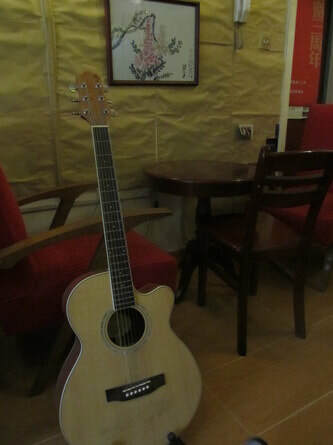 The very presence of the guitar stimulated your imagination. If you were in love you could bring your girlfriend/boyfriend there and sit in a quiet corner holding hands, listening with your ear buds to some Chinese pop music, or watching a movie. It was a place of respite and freedom, an open space. My sense is that it is in places such as these that new Chinas will be born, and new Americas, too. Yes, it was, and still is, my favorite coffee shop. Master Kong said: "I never try to make people open up [to the world of learning] unless they already have a pent up excitement about it. 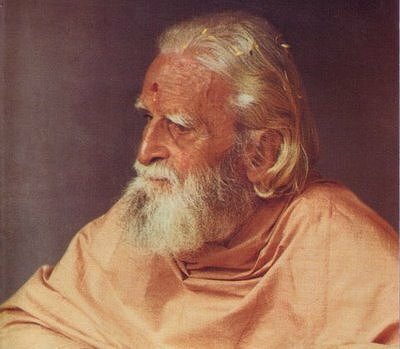 Then if I give them one corner [of a problem or point of study], if they do not come back to me with the other three corners I will not involve myself with them again." As educators we know what Confucius means. We know that in order for people to learn, they need to have a "pent up excitement" within them. And we also know that, for many people in China today and also in other parts of the world, the flames of excitement have been extinguished by too much memorization and test-taking, and not enough time for free exploration. They are missing corners. There are limits to what a teacher can do, if studentS arrive in class with indifference, distraction, boredom, or resentment. At least one corner must be supplied by the student. On the left you see Jamie Zarate, from Hendrix College in the United States, studying Chinese at the coffee shop we'll be describing below. He has a "pent up excitement" about learning Chinese. Confucius would welcome him. But what about the students without such excitement? To us, they are important, too. In all parts of the world people seek places which can help them find or recover a love of learning, a sense of curiosity, a sense of imaginative freedom, a sense place. Where can they find their teachers? Most of our own experience is connected with college classrooms. These are the "worlds" we know. But Confucius would be the first to say that education is not restricted to the classroom. Education is where dialogues occur. It is not simply the outcome of the dialogue; it is the occurence, the event, the happening of the dialogue itself. Confucius knew this in his way, and so did his counterpart in the West, Socrates. A dialogue can be facilitated by a masterful teacher like Confucius, but it can also be stimulated by a place or an atmosphere. Indeed a place can be a teacher of sorts. This is a Whiteheadian point, too. Places can have moods or subjective forms. Classrooms have moods. The way the seats are arranged; the presence or absence of visual stimulation; the place where the teacher stands; the color of the walls; and of course the moods that the students and teachers bring to the experience. If you are a student you can feel the teacher's mood, and she can feel yours, too. For some people the local, independently owned coffee shop provides a mood for creativity. It is not a religious building, but it is a sanctuary of sorts. It is a sanctuary from the monotony of everyday life and a sanctuary for creative transformation, undertaken in alone at a table or in a creative exchange of ideas with others. This is what the owner of the Rear Window coffee shop on the Heilongjiang University campus believes. We believe it, too. That's why we went to see him one day. We were curious about the ideal -- the mood -- he wanted to set for his customers. We wondered if, as educators, we might get some ideas from him. 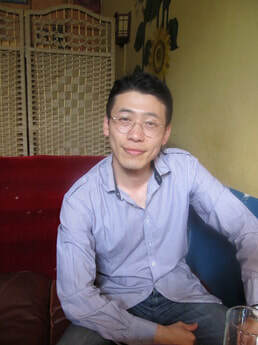 Zhu Min explained that, when he graduated from the university, he was, like so many Chinese students, a lover of movies. In a society where there is great pressure among young people to perform well on tests in order to get jobs, movies provide a sanctuary, too. They enable a person to go to a "place" in the imagination which is interesting, which engages a wide range of emotions, and which offers food for thought. In a sense, when you go to a good movie, you are going to a coffee shop, too. A coffee shop in the mind. Zhu Min began his conversation with us by explaining that he is an idealist. His dream is to offer a space where people can enjoy a free exchange of ideas, develop new ideas, and find spiritual side to life. He knows that he lives in a society in which the quest for money functions as a religion of sort: the central organizing principle in people's lives. But Zhu Min is interested in a different kind of religion: a religion of the heart and mind which enjoys freedom, openness, creativity. Among Whiteheadians we sometimes use the phrase "creative transformation" to name this spirit. Zhu Min is a businessman and a servant of creative transformation. He is a socially-engaged and spiritually-alive entrepreneur. He is a constructive postmodern businessman, for whom profit is not what is most important. How did he get this idea? He had read a book about coffee shops and coffee culture in Europe in 20th century, and he was intrigued by the idea that intellectuals and artists in Europe would gather at these shops, explore ideas, and sometimes listen to music or see art. He used the word "renaissance" to describe what was occuring in these shops. The word literally means new birth. He thought for a long time about how to create seating arrangements conducive to new births. Combining his appreciation of film with this idea of a coffee shop, he began to explore the idea that a coffee shop might be a "place" where people gather to discuss movies, art, and other subjects; and also a "place" that might be used to create movies, too. We shared with him some of the videos we offer in JJB, some of which are in English and some in Chinese. 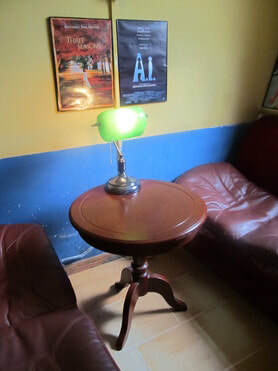 We can well imagine two people sitting in the booth below, having a conversation, and then creating a video of their conversation, adding art and music to the conversation. It could be an ongoing series called "Rear Window Conversations." But Zhu Min also knows that the coffee shop needed to be a place where people could find solitude. To be sure, most people in China and in other parts of the world enjoy being with other people. We are social creatures. But complementary to our social natures is a need for solitude, for personal reflection. Many people in China today do not have time or occasion for this. Churches provide one context, but coffee shops provide another. As we were interviewing Zhu Min this woman came into his coffee shop and found her own private space. She was reading a novel. The idea of a coffee shop, then, involves a unique combination of community and solitude. You can go to the coffee shop and exchange ideas with friends, but you can also go and be with others even as you are gathered into the solitude of a place within our own heart and mind. It's a little like sitting in quiet meditation in a Buddhist monastery. You can be alone together. Zhu Min thinks a lot about the visual atmosphere. Books are spread out throughout Rear Window. Wherever you sit, you are sitting next to books and within sight of books. There is no pressure to read anything; but of course you can pick up any book anytime. Given his love of movies he places movie posters throughout his shop. In Whiteheadian terms they, like the books, function as lures for feeling. The colors and images presented, and also the words. They say to the person at the coffee shop: "Here, this is a world you can enter; this is a character you can wonder about; this is an idea you can explore." The posters are catalysts for curiosity, for imaginative leaps into a freee space. Through his choice of images and books, Zhu Min is in the Confucian spirit. He is offering a "corner" to his customers. Those of us influenced by Whitehead twill appreciate the fact that these corners do not need to be in words, and we will add that the effects of these corners can be subconscious as well as conscious. It would be nice if everyone who enters the coffee shop actually reflected on ideas contained in the posters, but in truth they are background for other concerns. Many young people come to Rear Window as a time for being with each other and simply, as we say in the West, "hanging out." But Whiteheadians believe that possibilities for creativity and reflection enter us unconsciously as well as consciously, remaining dormant for a time. And then there's the music. In Rear Window there are two house guitars, that anyone can play anytime. Jamie Zarate (pictured above) is a guitarist. 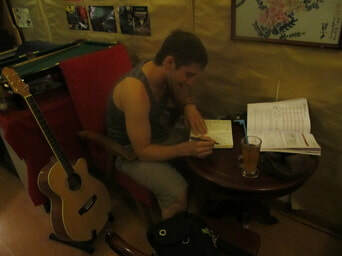 As a break during his studying, he picked up the guitar and strummed chords. But there is also music being played in the shop. When we visited it was in the soft jazz style: free spirited, soulful, melodious but not predictable, with just enough surprising notes played to help you remember that life has surprising notes, too. Here as well there is a connection between music and constructive postmodernism. Constructive postmodernists typically like all kinds of music: blues, rock, pop, classical, country, hip-hop, and jazz. We know that much music is now commercialized and specifically designed to soothe the soul but also make lots of money for record producers. This is why, in the United States, so many people like Jamie Zarate try to avoid commercialized pop music and listen to "indie" music instead: that is, music found on the internet, created and performed by independent musicians, who are more interested in the art itself than in fame, fortune, or power. Zhu Min seeks to find music that has, if not the "indie" spirit, then at least a soft, evocative, spirit: a spirit conducive to free, creative, explorations in a quiet setting. The mood of Rear Window combines all the senses: visual, auditory, tactile, and, of course, olfactory. It is synaesthetic, as is China itself. As is the case with coffee shops around the world, the smell of coffee is part of the atmosphere...even for people who don't drink it. Rear Window serves tea, brandy, cakes, and, for those who want lunch or dinner, meals. Despite the availability oif alchohol, though, it is not really an "alcohol" place. That's the beer garden and the karaoke bar. But it is a synesthic place, where all the senses are engaged and come together in a process of subjective concrescence. In the language of Whitehead, "the many become one and are increased by one." The customer is the process. She is the person who, in her way, is gathering the various springboards for imagination, conscious and unconscious, into her corner of the room. But, as Confucius recognizes, she must bring her corner, too. That is, she must bring the corner of her mind which is open to curiosity, to imagination, to excitement. In the language of Whitehead, what the customer must bring is an openness to creativity and transformation. This transformation will not occur with one visit or with a year's worth of visits. It will occur as a habit emerges in the person's mind, such that she thinks: 'I can be open, too. My life, too, can be an adventure, even if it sometimes seems tedious, pressure-packed, and boring." As we listened to Zhu Min, one of us -- Jay McDaniel -- wondered about the Western flavor of the coffee shop. Steeped in the language of postmodern thought, he wondered if the Chinese customers at Rear Window, and perhaps even Zhu Min himself, had fallen into a kind of Eurocentrism. If you walked into the coffee shop and didn't know you were in China, you might think you were in Paris or Berlin or New York. Or Arkansas. When queried about this, Zhu Min explained that his Chinese customers want to have the feeling of being in Europe or America, because they are different. They want to "see the world," and if they cannot see other parts of the world, they want to visit them by tasting other cultures in local settings. Postmodernists might worry that they have been subtly coopted into thinking New is Better or even West is Best. They might neglect the depth and wisdom of their own inherited Asian (and Chinese) traditions. But we were reminded of two things: (1) that people typically grow in their own imaginative horizons first by experiencing things which are indeed, for them, new. There is something important happening, educationally, when we are given the chance to enter novel contexts and (2) that China is an evolving culture, now taking on idea from the West that were unavailable until quite recently. Ideas like coffee shops. Our hope as educators is that Americans and people from non-Chinese customers will do the same. Which takes us back to Jamie Zarate above. He has a burning fire to learn Chinese language and culture. He is drawn to Confucianism, Taoism, Buddhism, Chinese medicine, the arts and to conversations with contemporary Chinese. Rear Window serves as a context in which he can have these conversations and exchange ideas, albeit (for now) in English. Let creative transformation be two-way! ​How, then, can the many strands of a person's life be gathered into the unity of a well-lived life? We do not want to romantice coffee shops as if they are the world's salvation. In the big scheme of things they can seem quite small. And we do not want to romanticize Confucius either. The spirit of Confucianism contains within it values we cherish and practices we criticize. But one of those values is indeed that the well-lived life involves an enthusiasm for learning, a recognition that it is a life-long process, and a recognition that it involves dialogue with others. This ideal, so important to Zhu Min, is important to us, too. It is possible that, in our time, the place where the best of the Confucian spirit continues is not only the classroom but rather the restaurant, the park, the cinema, the coffee shop. In Whiteheadian thinking we learn to think of education as occuring in many different contexts, and we learn to recognize that all people can be educators in their way, if they offer Confucian "corners" to others. Zhu Min is offering his corner in the Rear Window coffee shop. We will try to do the same. Appendix: What is Constructive Modernism? ​Dr. Zhihe Wang (fourth from right) and Dr. Mejuin Fan (second from left) speak of the need for a "constructive postmodern" approach to education and life itself. They develop the idea systematically in their recent book Second Enlightenment, published by the University of Peking Press, 2011. (王治河樊美筠; 第二次启蒙, 北京大学出版, 2011年1月). 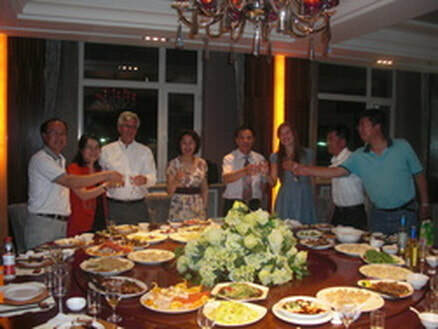 This photo was taken at a banquet after a lecture given by Dr. Wang at Harbin Normal University. They use the philosophy of Alfred North Whitehead to develop their ideas. For them a "constructive postmodern" names an orientation toward life which moves beyond a modern preoccupation with memorization and test-taking, toward a postmodern emphasis on creativity and curiosity. At the same time such an approach finds value in cross-cultural dialogues, in which people from different cultures learn from each other, even as they remember and reclaim the wisdom of their own inherited traditions. If you are from China, for example, you are "constructively postmodern" if you want to remember and claim the wisdom of Confucianism, Taoism, Buddhism, Traditional Chinese Medicine, and the classical arts, even as you also want to learn from modern science. And if you are from the United States, you find yourself wanting to learn from the best of Asian traditions, too, even as you appreciate many of the Western traditions that nourish your heart and mind. You are not content with hardened boundaries between East and West, you look forward to the mutual transformation of both. In the words of Wang and Fan, you look forward to a Second Enlightenment in which Asian as well as Western tradijtionsl play a role. And when it comes to education, you are not content with thinking that "education" occurs only inside a college classroom. You recognize that education is a lfe-long process and that much of it occurs outside the traditional parameters of chalkboards, power point presentations, and lectures. It occurs in dialogues. Our recognition of the power of dialogue has led us to look for places where education might occur in a way that is important, but hidden, to many educators. One such place might be the coffee shop.